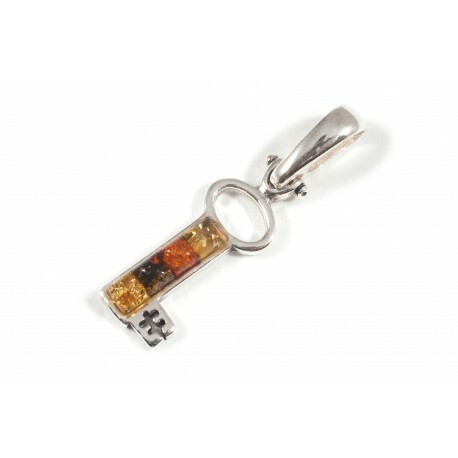 A pendant that combines cognac, green and citron amber squares. A colorful, original pendant for an ordinary day. The area, in which the amber beds lie, has a very strong energy, acts like a batery of cosmic energy, so people rushes here to regain strength. Where are a lot of amber, a person feels well and happy, there he wants to return.